Pearls are said to symbolize wisdom gained through experience. As the birthstone for June, this organic stone is the subject of many myths and legends. Pearls are thought to attract wealth and luck as well as protection. The pearl also is believed to symbolize the purity, generosity, integrity, and loyalty of its wearer. Said to radiate a calming effect, balance your karma, and strengthen relationships the magic beliefs of this iridescent bead are fascinating and wide reaching. Pearls have primarily been known as jewels to be worn as adornments. Made into rings, earrings, bracelets, and necklaces these spheres of wonder come in a variety of colors and are prized possessions. But did you know that these magical beads have also been utilized as a health tonic, as well as applied directly to the skin with amazing beauty results, for centuries? Yes, centuries! Read on to discover pearl fun facts, why the pearl has been a beauty and wellness staple for centuries and what you might expect if you incorporate pearl into your home care rituals. Where does pearl come from? 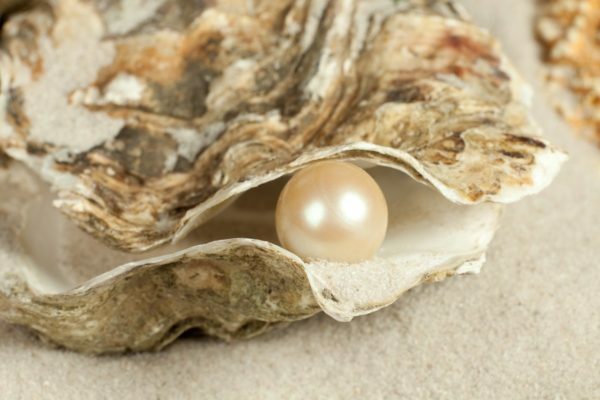 Pearls are formed underwater, hidden within the shell of an oyster (or other shelled mollusks). Within the shell, a luminescent bead is formed around an irritant, such as a kernel of sand, and the bead continues to build in size over months and up to many years depending on the species of mollusk. It is seemingly created from magic but the iridescent material found inside of the shells wall is the substance that is duplicated to create a protective layer after layer around the irritant. The bead continues to grow layer by layer around the irritant within the shell and eventually, the layers meld together and form what we call a pearl. Pearls are found within shelled mollusks like oysters and mussels. These can be found in freshwater streams, rivers, ponds, and lakes or in saltwater oceans and bays. Oysters and mussels do not move around and are highly dependent on the purity of the water they live in. 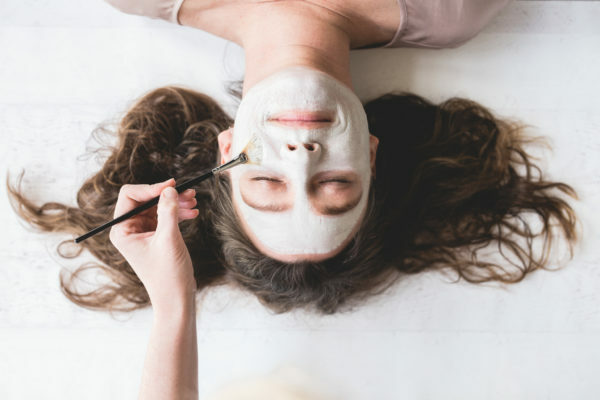 When they are bred in polluted waters, heavy metals and pollutants seep into their layers, and end up in the powder you would use, undoing the benefits pearl is said to offer. Therefore, it is recommended that if you want to topically apply or ingest pearl, it's important to make sure the powder you choose is sourced from clean water pearls. The pearl bead is ground into a fine powder and this powder is how you gain access to the numerous benefits of the pearl. Pearl powder is versatile and easily absorbable into the skin. It mixes well with almost all powders, oils and other common cosmetics. You can use it in many different ways by mixing it with your cleanser, moisturizer, liquid or other powders. 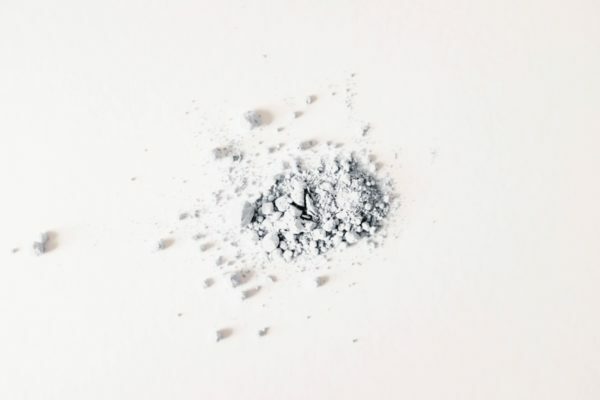 It can be used as a mask or subtle, wellness-focused mineral makeup. In addition to topical uses, pearl powder can be ingested because it is said to dissolve easily in liquid and have a mild flavor. It could make the perfect addition to your recipe of choice. You can add pearl powder to your morning smoothie, tea, in soups or anywhere else you’d like. The list is as long as you are creative! These reflective beads date back centuries and are most widely used throughout Asia for a range of amazing health benefits. Applied by royals including Wu Zetian, the only female empress in Chinese history, and Cleopatra, queen of Egypt, many royalties are documented as having used pearl for its revered beauty benefits. Skin health was very important in traditional Chinese culture, and pearl was the elite natural medicine to promote radiant youth. Pearl powder’s numerous benefits come from its abundance of minerals. Pearl powder has at least 14 amino acids (including 8 that cannot be synthesized by the human body) and 30 trace minerals, including calcium, iron, copper, magnesium, silica, and selenium which are needed for healthy hormones, a strong immune system, and appearance of youthful skin. The extensive mineral content in pearl powder has been found to promote bouncier skin, reduce the appearance of pore size, brighten the appearance of skin tone and improve texture. In addition, pearl powder is known to be an adaptogen. Adaptogens greatly improve your body's ability to adapt to stress. 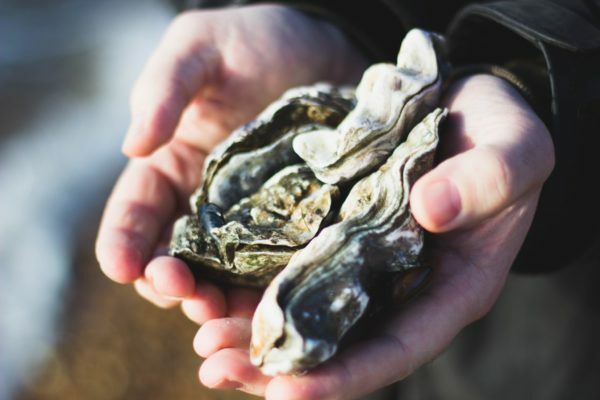 Adaptogenic skin care is all the rage these days, and combined with the trace minerals in pearl, make this wonder ingredient definitely worth trying out! At the core of brightening the appearance of skin is a complex protein within pearl powder called Conchiolin. This ingredient has been shown to reduce the appearance of skin’s pigmentation by inhibiting an enzyme (called Tyrosinase) which is responsible for melanin production. Brightening the appearance of skin is one of the most, if not the most, challenging skin issues because it is never really “cured.” To show a considerable change in the appearance pigmented skin, it requires consistency in effective home care treatments and diligent SPF protection. You constantly are battling daily exposure to factors that can decrease the appearance of bright skin, such as the Sun Rays (UVA, UVB), HEV Light (on your laptop, T.V. and phone screen), your hormones and stress. With that being said, another ingredient that has the potential to brighten the appearance of skin is truly exciting news! Pearl is an incredible new ingredient, that much to my surprise has a long historical reign as a beauty and wellness staple among royalty. Whether it is ingested or topically applied this powerful powder might just create changes in your skin that leave you looking like royalty yourself. Bokhara Lashi is an Esthetician and Wellness Specialist at Embody Zen and artist at Moss Art Studio. Have you tried Pearl Powder? What effects did you notice? Comparison of hydration, tyrosinase resistance, and antioxidant activation in three kinds of pearl powders.